The Motorola XPR7350 is a top-of-the line Motorola two way radio perfect for rugged conditions where communication is critical. If your employees frequently face tough conditions, work in noisy environments, and are on the front lines of situations where reliability is an absolute must, the XPR7350 can provide the high-quality communication you need to get the job done. The XPR7350 was made for work. It’s one of the most rugged radios on the market, with military specs for dust, rain, and temperature. It’s also submersible in a meter of water for up to thirty minutes. No matter what hazards you face in your day-to-day work, this radio is durable enough to withstand just about anything you can throw at it, without sacrificing the superior audio quality. The loud, front-facing speakers provide for the clearest audio you’ll find in any two way radios. 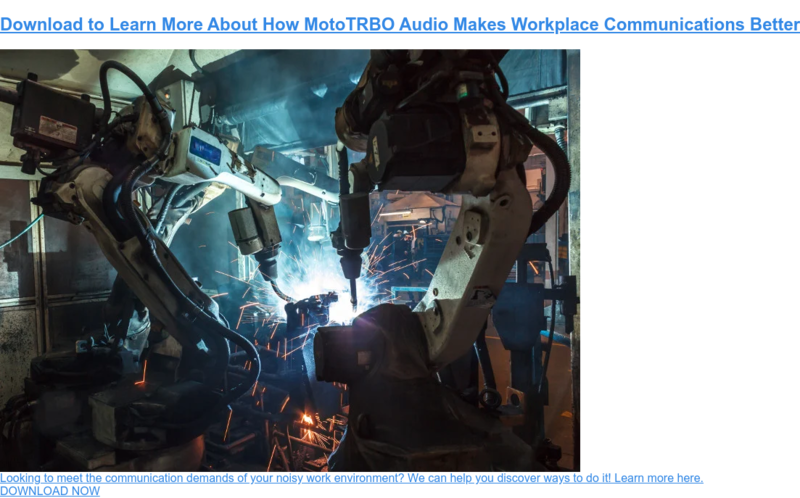 In addition, the Intelligent Audio feature automatically adjusts the volume to account for environmental noise – so if a jackhammer starts up while you’re talking to a coworker, you won’t have to worry about losing the thread of the conversation. Motorola batteries withstand drops, shocks, and shakes better than any other battery on the market. Not only that, the IMPRES™ battery that comes with the XPR7350 is rated at 11.5 hours of working charge in analog mode and 17 hours in digital mode. These batteries have a simple, innovative charging system that allows you to leave them charging as long as you want without damaging them, so they’re always ready for action. Also, when charged with IMPRES chargers, it will employ automatic reconditioning and display changes to maximize talk time toward the end of the battery’s cycle life. These radios incorporate built-in Bluetooth that enables you to extend the range of accessories like microphones, external headphones and speakers. The Bluetooth sensitivity allows for use of your radio over a distance of up to 100 meters. The XPR7350 is designed to make full use of analog two way radio transmission, meaning you can easily integrate it into your existing system if you haven’t switched to digital. But it’s also able to transmit in digital mode, which makes it simple to transition seamlessly into a digital system whenever it makes sense for your company’s timeline and budget, without having to buy new radios to make that happen. Motorola uses Time-Division Multiple Access (TDMA) technology in its systems. TDMA fits seamlessly into existing licensed channel structures in UHF and VHF, because there are no frequency band variations. TDMA divides the channel into time slots so that more than one communication can be carried at a time, while the width of the channel is preserved. 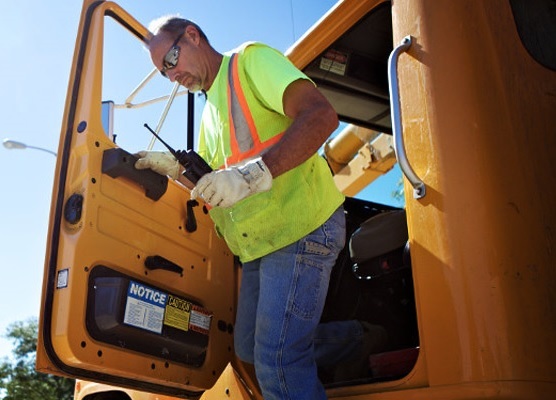 The Motorola XPR7350 is a workhorse of a radio system, with the best voice clarity, most rugged design, and the flexibility to keep up with your business as your communication needs evolve. It has extended battery life and an intelligent easy charging system. It is fully compliant with existing channel frequency structures. These radios come highly recommended by industry, government, security, and military everywhere. You can rely on them to get the job done no matter what conditions your workforce faces. The Motorola XPR7350 is one of our best sellers, and for good reason. Please contact us for more information on this or any of the other Motorola radio products we carry.